Was born Oct. 15, 1847, in Tazewell county, Va., and for quite a number of years has been an honored citizen of Logan county, W.Va. On Aug. 3, 1876, in this county, he was united in marriage with Laura C. Justice, who was born there June 11, 1859. Six children have been the result of this union: Jennie B., born Feb. 27, 1878; Josie, born April 19, 1880; Lettie Lee, born March 30, 1882; John E., born Jan. 27, 1884; Thomas G., born July 17, 1886, and died June 7, 1887; and Wiley F., born Feb. 15, 1889. Mr. Spratt is engaged in farming and running a saw mill, having also filled a number of county offices of trust and honor. He was trustee of public schools in Triadelphia district from 1886 to the present, and has for some time past been overseer of public roads. His post office address is Gilbert, Logan county, W.Va. Source: Dr. R.A. Brock, Virginia and Virginians, 1606-1888 (Richmond, VA: H.H. Hardesty, Publisher, 1888), p. 840. 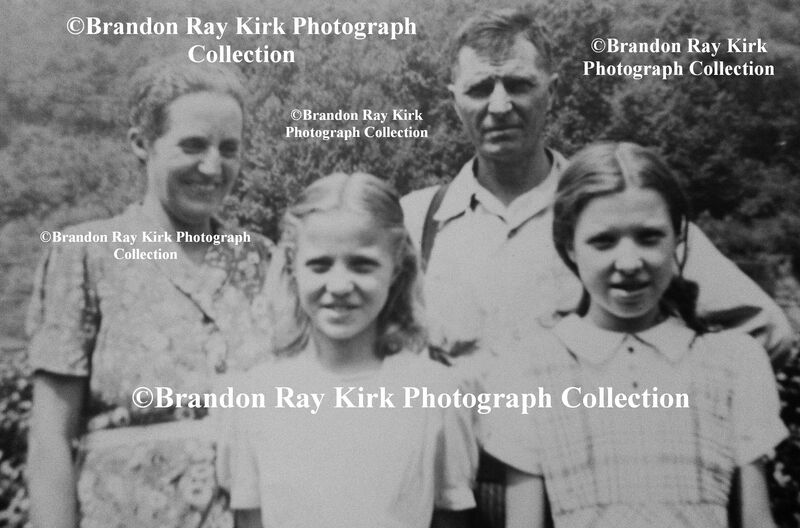 Pat and Eva (Brumfield) Kirk, my great-grandparents, with daughters, Lois and Iris. For most of their lives, they lived on Piney Fork of West Fork of Harts Creek in Logan County, WV, Pigeon Creek in Mingo County, and Ferrellsburg in Lincoln County. Poppy and Grandma married on 30 August 1911 (my birthday) at Cole Branch of Harts Creek. The Squire Sol Adams Family Cemetery, which I visited on 5 July 2014, is located a short distance up the hollow behind the Sol Adams cabin at Whirlwind on Harts Creek, Logan County. It is located on the hill behind the cabin to the left of the road and creek going up the hollow. You can drive to the cemetery. NOTE: This tombstone is located behind the Rosalie/Everett E. Alexander stone that begins Row 2. I think Everett is buried in Row 2, and Rosa is buried directly behind him. The family has only bought one modern tombstone to mark both graves. Belva Adams (06 April 1898-13 November 1919); d/o John H. and Nancy J. (Adkins) Mullins; m. Anthony Adams, Jr.
Bessie Adams (19 April 1899-17 February 1941); d/o Stephen “Yank” and Harriet (Carter) Mullins; m. Anthony Adams, Jr. There is a black rock unusually close to the grave marker for Ellen Adams; I think it is her old stone. It is unlikely another grave, but could be. At a spot beside of Thomas J. Yeager’s grave, his tin funeral home marker is placed at the foot of where an adjacent grave might be. It is not placed at his footstone; it is placed beside of his grave location. There is otherwise no indication that a grave is located beside of him. Was born Feb. 24, 1848, in Tazewell county, Va., and when a lad of 15 enlisted in the Confederate States army, serving a short time, when he was severely wounded in the face. On Nov. 9, 1865, he was united in marriage with Evaline Hill, who was born April 5, 1848, in Ashe county, N.C., the marriage being solemnized in Wyoming county, W.Va. The record of Mr. and Mrs. Short’s children is as follows: Mazy I., born Oct. 17, 1866, and died March 27, 1889, married; Sarah, born June 10, 1867, and died Sept. 27, 1888, married; Noah, born March 29, 1869; Edward, born June 2, 1871; Rebecca, born Aug. 1, 1873; John A., born Dec. 1, 1875; Martha, born Jan. 1, 1878; Powell S., born Feb. 2, 1880; Elizabeth, born July 23, 1882; Minnie R., born Oct. 2, 1884; and Charles, born April 18, 1887. Mr. Short was elected road commissioner in Wyoming county in 1888, by a very large majority, which office he is still ably filling. 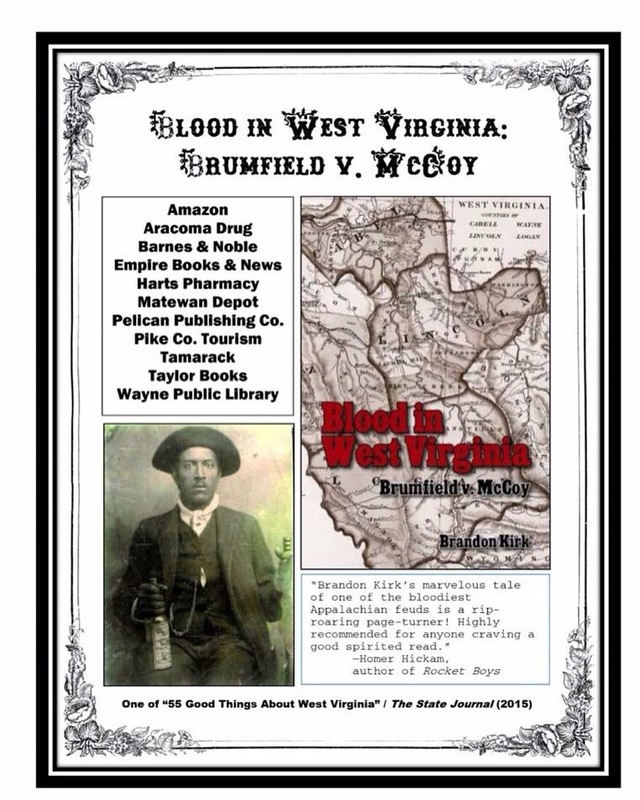 He is a farmer and merchant, residing near Baileysville, W.Va., which is his address. Source: Dr. R.A. Brock, Virginia and Virginians, 1606-1888 (Richmond, VA: H.H. Hardesty, Publisher, 1888), p. 839-840. 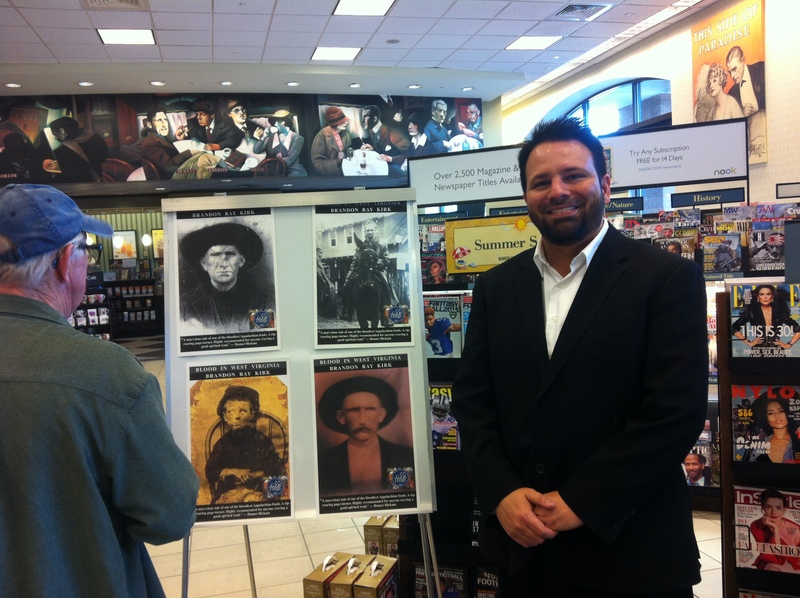 Today, the book and I will appear at Barnes and Noble in Morgantown, WV, from 1 pm to 4 pm. If you’re local, come and see us! We sure are having some weather down here at present time. Miss Georgia Thomas named her son after Con Chafin. Miss Myrtle Mobley arrived home from Logan Tuesday. Born, to Mr. and Mrs. Luther Elkins, a fine big boy on May 25. Mr. and Mrs. Philip Hager of Hamlin have been visiting relatives of Big Creek. Ms. Erskine Elkins paid Rector, W.Va., a visit Sunday. Erskine tell us if you saw Sadie. Miss Georgia Lilly looks awful lonesome since Mr. Dennie Morris broke with her. Gracie tell us why you let Rubie take Earl. Miss Ethel Elkins and Mr. Earthel Hill are engaged to be married June 25. Rev. I.J. Elkins preached an interesting sermon at Limestone Sunday. Mr. George Shackleford of Henlawson was visiting Big Creek Sunday. Tell us George why you were looking across the river so lonesome like. Mrs. Earley Trent of Glen Alum is visiting Mrs. Luther Elkins. Mrs. Nan Vance has been ill for several days but is improving now. Mr. Franklin Estep had a long chat with Miss Ethel Elkins this morning. Gladys, you better step up or she will beat your time. 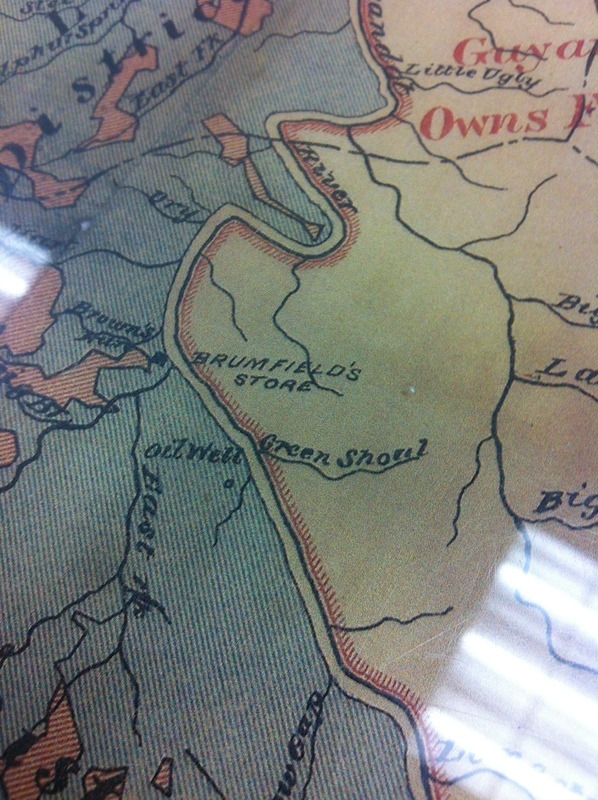 Hart, noting “Brumfield’s Store,” in 1891-1892. Al Brumfield owned the store. We are real glad to see our bit of news in the dear old Banner. Most every body attended church on Laurel Fork Sunday. Everyone reported a nice time. Charley Huffman made a flying trip visiting relatives and friends, Sunday. Miss Flora Rickman entertained her friend, Mr. Dial, Sunday. Mr. James Brumfield and his son, Wetzel, were the dinner guests of friends Sunday. Miss Thelma E. Huffman made a flying trip to Lucas, W.Va., Sunday. Willie Payne and Anderson were seen going up the Big Ugly road, Sunday. Wonder where they were aiming? 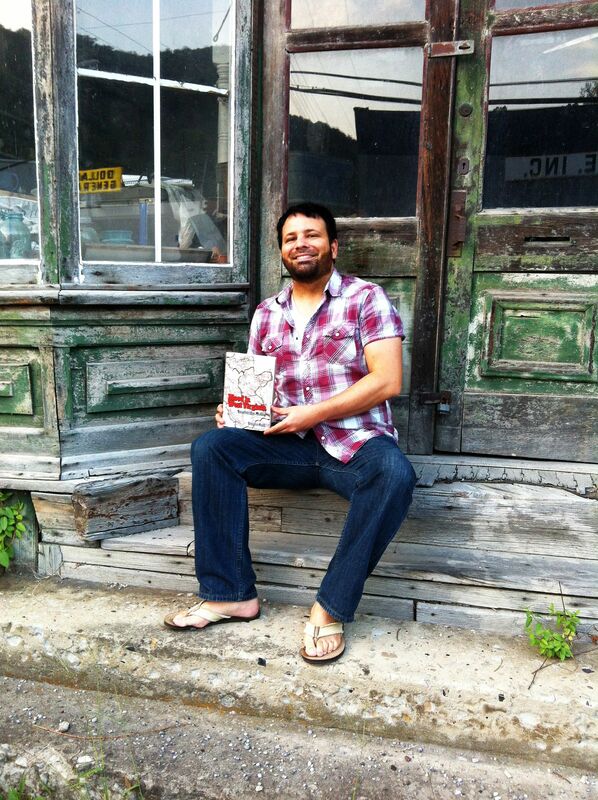 Wayne C. Brumfield is still on the farm. Thelma says he’s real sweet. Walter Dial will soon leave for up the river. Gee but won’t Nora be lonesome! Sherman Lilly was calling on Miss Ruby Ferrell, Sunday evening. Bunch Lambert and Miss Kate Reynolds were seen out horse back riding Sunday. Rev. Jim Gee will hold services on Laurel Fork, August 21st. Miss Nora Lucas and Ramsey Ferrell took a joy ride Sunday. Miss Gladys Payne will remain at Silas, W.Va., for a few days. Miss Thelma Huffman and brother, Charley, visited Mr. and Mrs. William Gill last Sunday evening. Good by and best wishes to the dear old Banner and its readers.